When I think of spaces in my home that get the least amount of my thought and time regarding their decor, the bathroom is the first room that comes to mind. Which is a shame, because a bathroom can be relaxing and soothing, or colorful, bold and fun, depending on what you want out of this space. 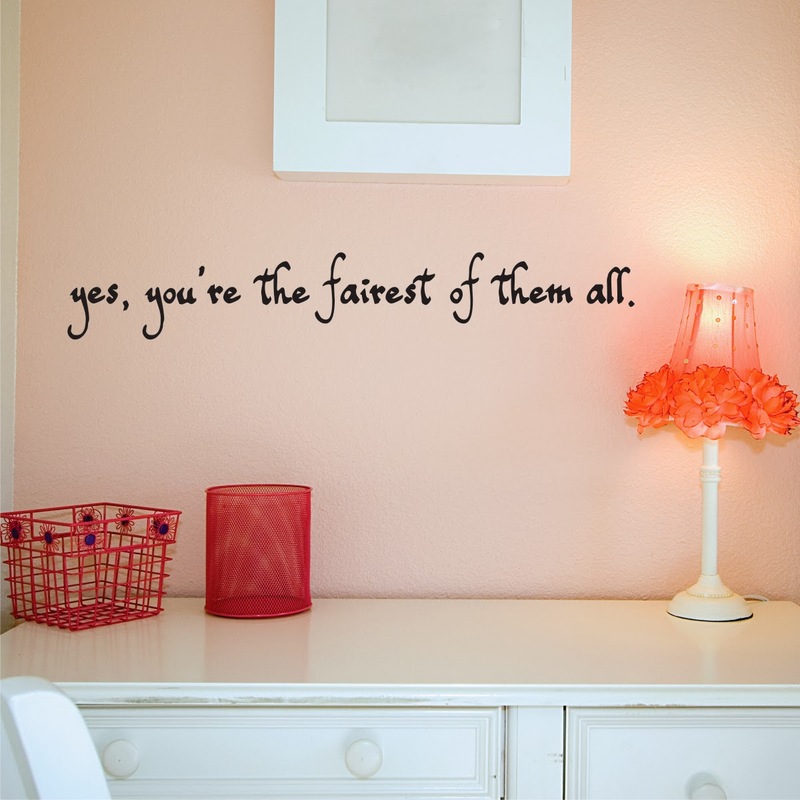 Here are five favorite Wall Quotes™ decals for this often-overlooked room of your home! Our "Wash your hands. Use soap." 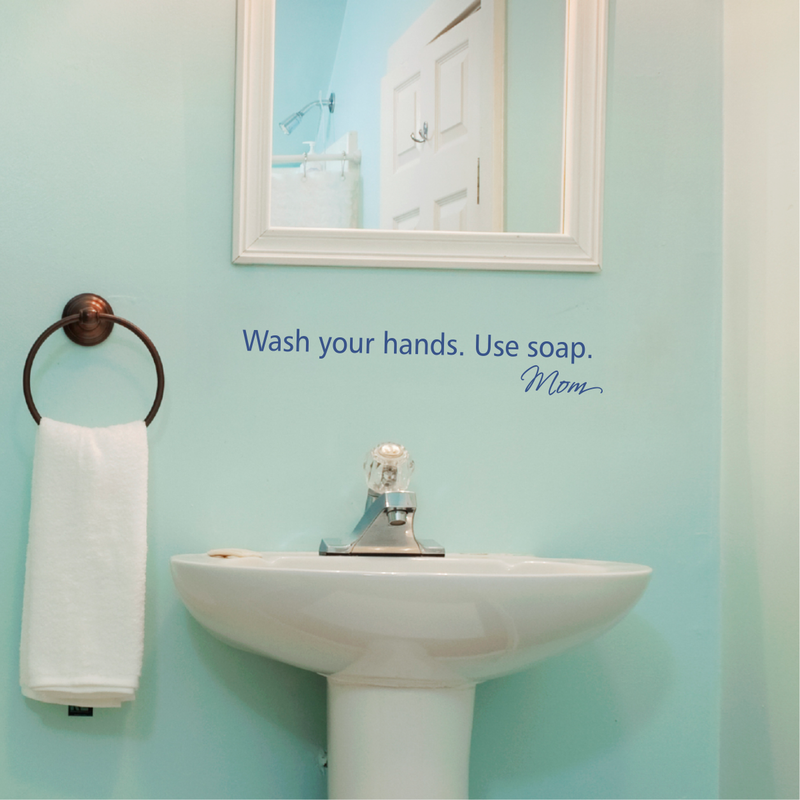 Wall Quotes™ decal is one of our most popular bathroom decals, and for good reason! What a fun way to remind little ones of the importance of washing their hands! 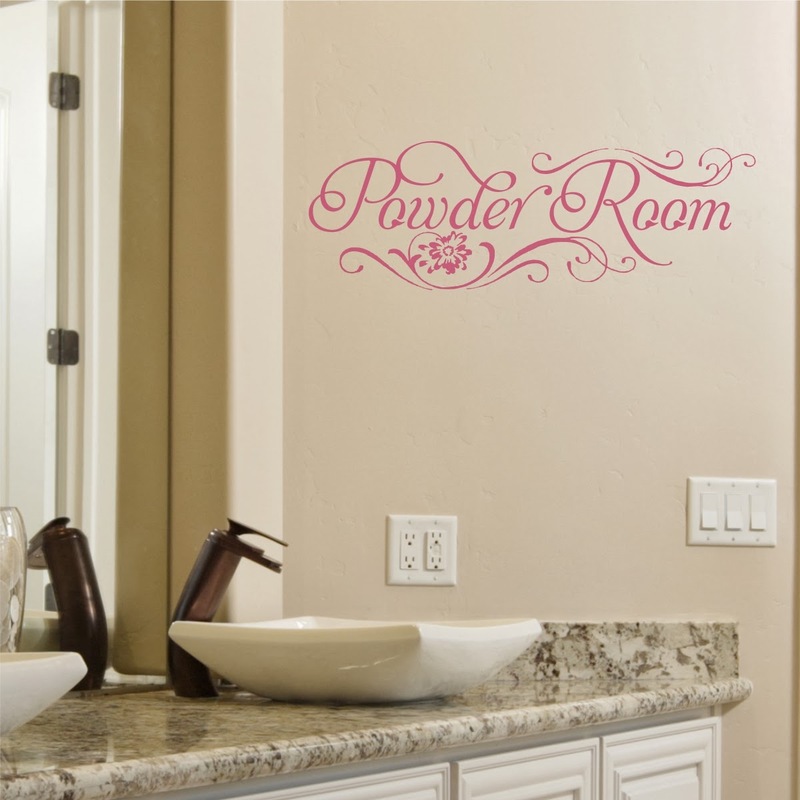 With beautiful and feminine scroll embellishments, our Powder Room decal will add elegance and good design to your space. As with all of our decals, you can get it in any one of our 46 color choices to match your color scheme! Girls young and old alike will love the confidence-boosting sentiment displayed in this fun decal. I also adore the old-fashioned-looking, calligraphic font that this decal boasts! 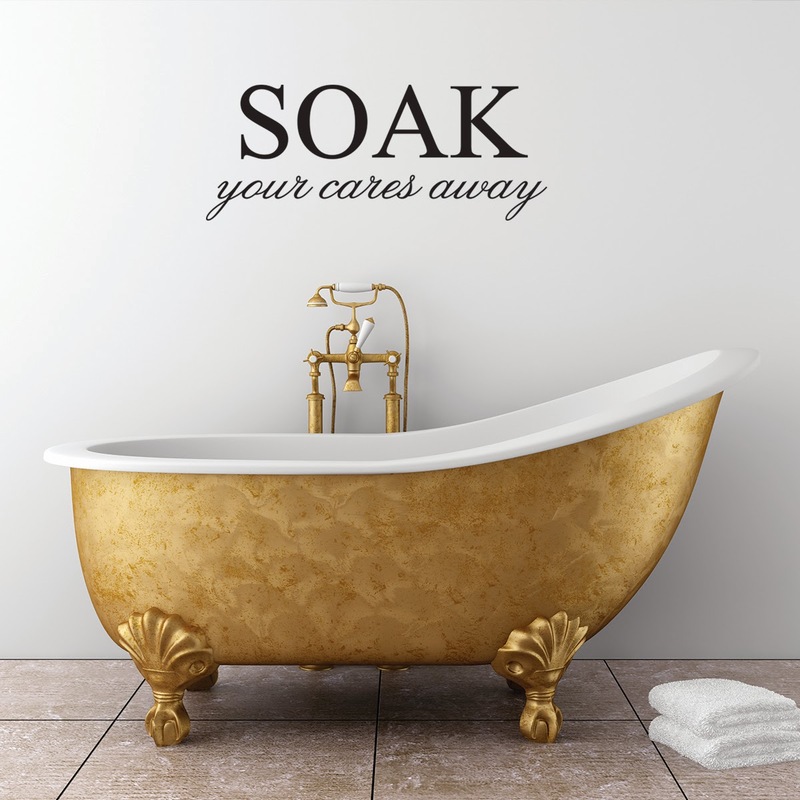 After a long day, is there anything better than an invitation to "Soak your cares away?" I think not. Perfect as a reminder to relax and pamper yourself every now and then. You can customize this Wall Quotes™ decal by choosing the colors for both the wording and the bathtub outline! Anyone else in love with the swirly, embellished font? I adore it. Like this post? Click here to visit other posts in our Five Favorites series!